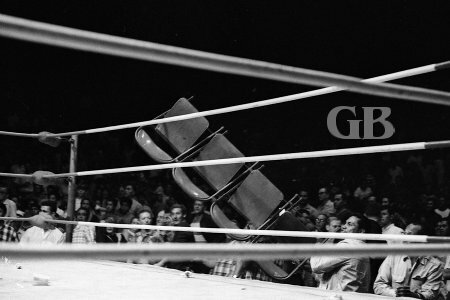 On April 2, 1968 Promoter Ed Francis presented a professional wrestling card at the Civic Auditorium, where a riot broke out among wrestling fans soon after the end of the main event. 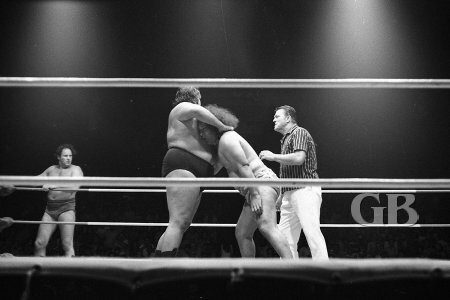 In the opening match Jerry London defeated Rocky Hunter. 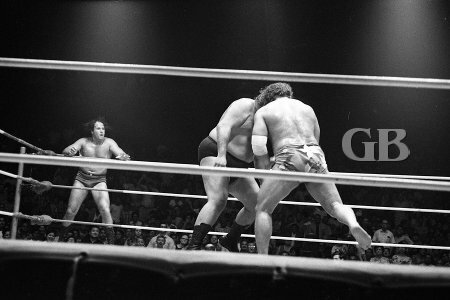 The next match was billed as a grudge match with Ripper Collins vs. The Missing Link. 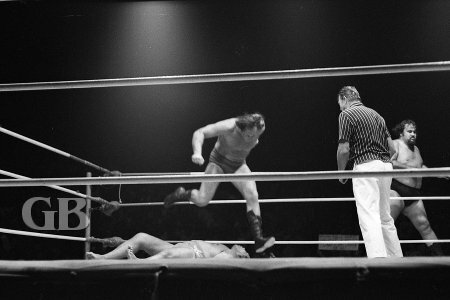 This match was a result of a match that took place on march 13, 1968 when Collins had his head shaven in the ring bald as a result of losing a match with the Missing link and collins wanted revenge on the Missing Link. After both wrestlers split falls neither could can a third fall the match was declared a draw. The Missing Link applies his vicious Bear Hug on Ripper Colliins. 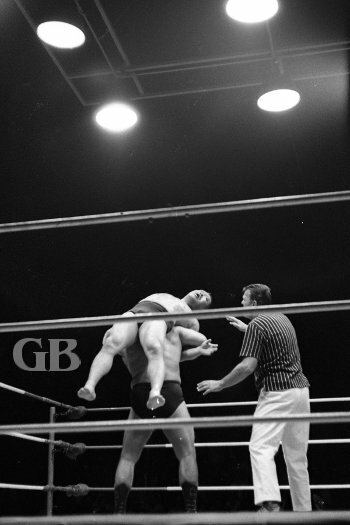 Tosh Togo levels an elbow to Jim Hady's jaw as Hady stands on the ring apron. The semi main event had Jim Hady defeating Odd Job Tosh Togo when Odd Job was disqualified for using karate blows. 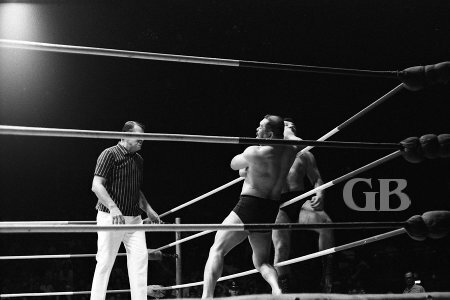 Odd Job Tosh Togo about to throw Jim Hady into the ropes. Jim Hady catches Odd Job on the kisser with his Flying Drop Kick. 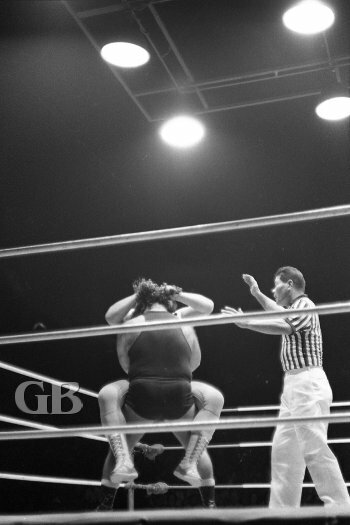 Hady applies the Back Breaker on Tosh Togo. 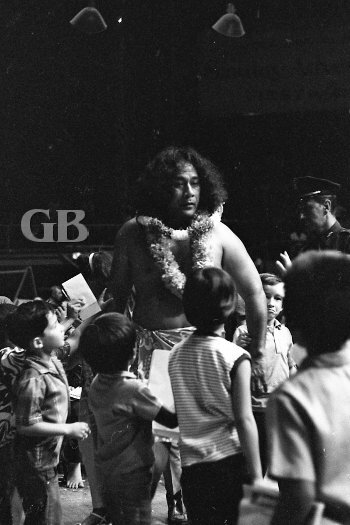 Neff Maiava approaches the ring surrounded by young wrestling fans. Neff's cousin Peter Maivia signs autographs in the corner. Johnny Barend kicks Maivia as soon as he enters the ring. 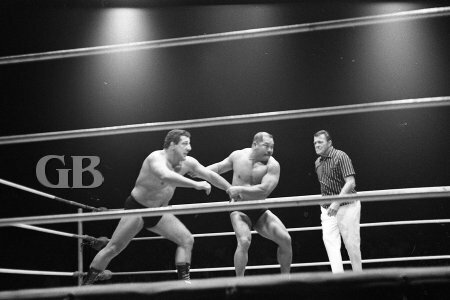 Barend attacks Maivia with his cane. Maivia about to Body Slam Curtis Iaukea. 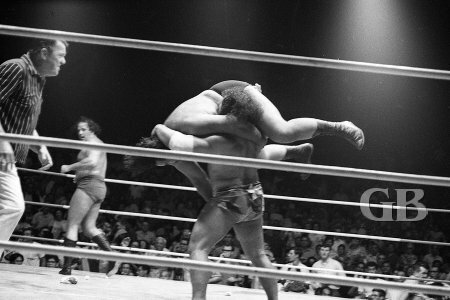 Curtis Iaukea cinches a Nerve Hold on Neff Maiava's Neck. 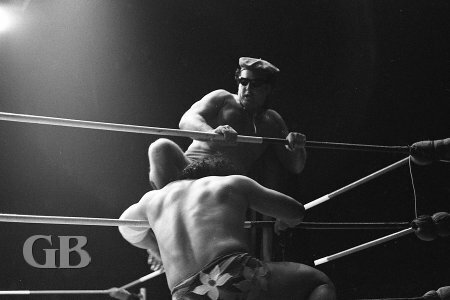 The main event featured The Samoan team of Peter Maivia and Neff Maiava vs. Handsome Johnny Barend and Curtis Iaukea. Maivia and Maiava entered the ring first followed by Barend and Iaukea, who started attacking Maivia and Maiava immediately after entering the ring. Johnny Barend readies a Knee Drop onto Maiava. All four wrestlers tussle on the mat in the corner. Peter Maivia head butts Iaukea. As for the match itself Barend pinned Maiava for the first fall. 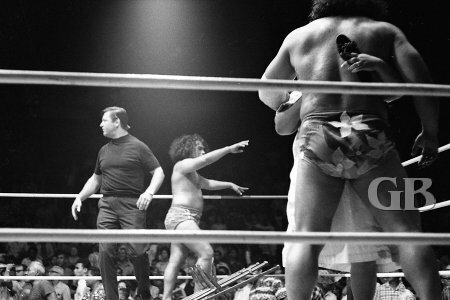 The second fall went to Maivia and Maiava when Barend and Iaukea were disqualified for ungentlemanly tactics. The end of the match was a wild one with all four wrestlers going after each other. 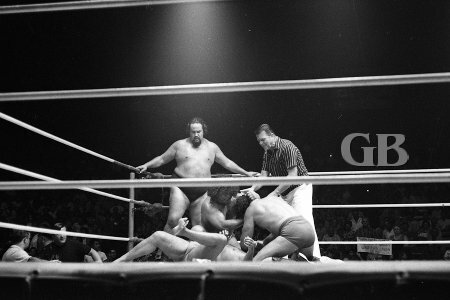 Peter Maivia managed to pick up Iaukea and body slam him to pin him for the third fall to give his team the victory, After the match Barend and Iaukea upset at losing the match started attacking both Maivia and Maiava. Some over excited wrestling fans throw a row of chairs into the ring. Promoter Ed Francis enters the ring to try to cool things down.